Join us and say no to nuclear weapons. May 15, 2012 – NATO Summit: nuclear weapons in Europe. A public statement by the general secretaryof the World Council of Churches. Public Statement in Support of the Multilateral Negotitiona of a Nuclear Weapons Ban in 2017, submitted to the 2016 UN General Assembly First Committee by Faith Communities Concerned about the Humanitarian Consequences of Nuclear Weapons, Oct. 12, 2016, New York. issued by the Executive Committee of the World Council of Churches. Statement on nuclear disarmament, NATO policy and the churches, January 2001, adopted by the Executive Committee. 14 November 2002, Letter to foreign ministers of the non-nuclear member states of NATO, 14 November 2002. Oct. 6, 2017 – Canadian Council of Churches letter to The Honourable Chrystia Freeland, Minister of Justice re Canada’s absence from multilateral process to ban nuclear weapons. August 10, 2016 – Canadian Council of Churches letter to Minister Dion on Nuclear Disarmament and the Open-Ended Working Group. April 24, 2015 – General Secretary on behalf of the Canadian Council of Churches to letter to The Honorable Rob Nicholson, Minister of Foreign Affairs re 2015 NPT Review Conference. What do Pope Francis’ Statements on uclear Weapons mean for Ctholics in the military? Sojourners article by Tobias Winright. Reviews statements by the Pope. Statement by Generals and Admirals of the World Against Nuclear Weapons , December 5, 1996. Address by General Lee Butler to Canadian Peaceworkers, March 11, 1999, Ottawa. We write to urge, in the strongest terms, you and your government to publicly and prominently call on all the parties to the Intermediate-Range Nuclear Forces (INF) Treaty to ensure that it is preserved. Nous vous envoyons cette lettre pour vous exhorter, ainsi que votre gouvernement, à inciter – publiquement et fermement – toutes les parties au Traité de limitation des armes nucléaires à moyenne portée (traité INF) à faire en sorte qu’il soit maintenu. With the Presidency of Mr. Trump, we are urgently seeking your engagement in an emergency response plan to confront the possible use of nuclear weapons by President Trump. He has been quoted as saying “If we have [nuclear weapons], why can’t we use them?” President Trump has joined the small group of “leaders” who claim the right to kill millions of people to protect their country’s interests. It is clear he is a man of little patience, no diplomatic expertise, no military or conflict resolutions skills. His control of “the button” places the global community in grave danger. We call on you to use your considerable skill in inspiring communications and clear thinking to urgently lessen and eliminate the nuclear threat. We believe you have the capacity to ensure a more secure future for your family and our families, and indeed the global family. 1. During your first meeting with President Trump, propose a Reykjavik-style bilateral summit between him and President Putin to discuss how they could further reduce nuclear arsenals and work together to pursue global nuclear disarmament. 2. Publicly commend President Xi’s proposal for nuclear disarmament, to press China for CTBT ratification and to actively explore with China ways to pursue nuclear disarmament on an urgent basis. 3. Seek cooperation with like-minded leaders of NATO member states to promote reduced Allied reliance on a nuclear deterrent and to make an active contribution to creating the conditions necessary for a “world without nuclear weapons”. 5. Strongly support public advocacy on the increased threat of a nuclear weapons exchange and the need for urgent work toward nuclear disarmament. We recognize the load on you has been heavy but want to assure you that should a nuclear exchange occur, a legacy of environmental agreements and pipelines will be irrelevant. There can be no greater 150th Birthday gift to Canada than one of increased security for Canadians and the global community. Monsieur le premier ministre, Le Réseau canadien pour l’abolition des armes nucléaires et le Rassemblement canadien pour une convention sur les armes nucléaires s’adressent à vous et à votre gouvernement, en cette crise nucléaire mondiale qui s’intensifie chaque jour, pour vous presser de faire de la désescalade de crise et d’une diplomatie persistante et intensifiée en matière de désarmement, une priorité nationale. Ernie Regehr is the chairman of Canadians for a Nuclear Weapons Convention, a project of Canadian Pugwash, and the former executive director of Project Ploughshares. Douglas Roche was a senator from 1998 to 2004, and was the Canadian ambassador for disarmament. The world is about to lose one of the most important nuclear disarmament agreements ever made – and distressingly, Canada is silent. The 1987 Intermediate Nuclear Forces (INF) treaty, signed by then-U.S. president Ronald Reagan and former Soviet Union president Mikhail Gorbachev, marked the beginning of the end of the Cold War. It bans the possession, production and flight-testing of ground-launched missiles within the 500-to-5,500 kilometre range and bans launchers for such missiles. Also, it resulted in the elimination of 2,692 Soviet and U.S. missiles based in Europe, and it was key to building an innovative system of verification, data exchanges, and mutual consultations. Now, U.S. President Donald Trump has said the United States intends to suspend its participation in early February, leading to its termination six months later. The United States says the Russians are cheating. Russia says the United States is stretching the treaty’s boundaries. The debate over who’s right is what verification procedures and diplomatic talks are all about. The stakes are very high. Mr. Gorbachev, now in retirement, and George Shultz, who was Mr. Reagan’s secretary of state, have issued a dire warning that “abandoning the INF” would undermine strategic stability and be a step towards an immensely destructive war. Retired senator Sam Nunn and Barack Obama’s former energy secretary Ernest J. Moniz, two giants in the realm of U.S. arms control who now run the Nuclear Threat Initiative, have also warned of a “cascade of negative consequences” if the INF treaty is abandoned. Those risks include the unfettered deployment by Russia of intermediate missiles sparking a new arms race, serious division within NATO, and the undermining of efforts to rally the world to prevent the further spread of nuclear weapons and missiles. The end of the INF also portends the collapse of the U.S.-Russia New START pact, which is due to expire in 2021 unless it is renewed. The United States has signalled it isn’t interested in renewing the one nuclear disarmament pillar left to hold a new outbreak of long-range missiles in check, and the nuclear-armed states are already modernizing their nuclear stocks. Countries such as Canada must intervene and demand a diplomatic review of INF compliance procedures because we have a big stake in whether the world will lapse into a new nuclear arms race – and that could be where things are headed. In 2018, both the Group of Seven and NATO summits – two groups that include Canada as a member – declared that the preservation of the INF treaty is a key to Euro-Atlantic and international security. That’s a good start. But we are disappointed that the government of Canada has itself remained inexplicably silent in the face of the Trump administration’s threat to abandon the treaty. This is not a time for quiet diplomacy. Canada has a voice and stature in the world. We must be heard by those who control our fate of whether we will live or die in a nuclear war. What the world should be witnessing is not the collapse of nuclear arms control treaties, but new agreements to provide for further reductions in deployed and stockpiled nuclear weapons. Silence is an abrogation of responsibility. We urge Prime Minister Justin Trudeau and his government to provide bold, public, and insistent leadership, because continued silence won’t do anything to stop the loudest and most tragic explosion. By Hon. Douglas Roche, O.C. The workshop “Canadian Leadership for Nuclear Disarmament” jointly hosted by the Canadian Network to Abolish Nuclear Weapons (CNANW) and Canadians for a Nuclear Weapons Convention (CNWC) brought together civil society and academic experts with Canadian government representatives to dissect the current nuclear weapons context and identify opportunities for civil society engagement and Canadian government leadership on disarmament and non-proliferation. To raise the public profile of nuclear abolition, current civil society efforts must reach more broadly to engage new movements and issues with which we share common interests in peace, survival, and an alternative future. The current moment is urgent. The new nuclear arms race, involving “modernization” in all arsenals and new nuclear use doctrines, risk a nuclear confrontation as well as long-term damage to disarmament efforts. At the same time, shifting international power structures create new opportunities for leadership toward a world without nuclear weapons. The keynote address by Joe Cirincioni – President of the Ploughshares Fund in the United States – titled “Nuclear Insecurity in the Age of Trump and Putin” outlined the current crisis that defines the contemporary strategic context in which nuclear weapons are situated. While the security situation on the Korean peninsula has shifted toward unprecedented diplomacy and seems to be giving way to a new security dynamic, Cirincioni stressed that it is not clear if this progress will continue in the absence of robust political encouragement and support. In contrast, the relationship between Iran and the United States continues to deteriorate. The US Administration’s withdrawal from the Joint Comprehensive Plan of Action (JCPOA) to inspect Iranian nuclear facilities and prevent its pursuit of nuclear weapons includes sanctions on firms and allies who engage in legal business practices with the regime. Moreover, the demands being made of Iran are described as an unconditional surrender. Not only are diplomatic paths to peace being closed, but there is a strong potential for direct confrontation through mutual presence and competing interests on the ground in Syria, which could unintentionally escalate. The ability to contain these two non-proliferation crises is compromised by a crisis of disarmament among nuclear weapons states. Nuclear capabilities and delivery systems are being modernized and military doctrines revised in such a way that their use is slipping from an unthinkable, strategic deterrent to a useable, tactical weapon of limited warfare. This is dangerous. Not only does it risk catastrophic escalation, but the basic compromise that facilitated non-proliferation – the promise of disarmament – faces a death knell. The steady path of nuclear reductions over the past three decades has halted and been replaced with re-armament. Cirincioni describes this as an inflection point: once it gets going, it will be very difficult to turn back. This sentiment is echoed by Ambassador Paul Meyer from The Simons Foundation, who equated the contemporary arms race between the world’s nuclear superpowers to the strategic standoff of the 1970s and ’80s. Emphasizing previous Canadian leadership under Prime Minister Pierre Trudeau, Meyer described his “strategy of suffocation,” which proposed to cut off the oxygen feeding nuclear armament by banning warhead testing, ending test flights of warhead delivery vehicles, prohibiting further fissile materials production, and cutting spending on nuclear weapons. The earlier Prime Minister Trudeau was willing to expend political capital to challenge dominant security dynamics in pursuit of peace through reasoned policy alternatives. Embrace a recommitment to multilateral disarmament diplomacy and re-invest in the resources required to support this. Discussion emphasized opportunities and constraints for non-US leadership on nuclear disarmament, particularly by allies within NATO. Noting current tensions within the Alliance and ebbing American leadership, there is a sensed opportunity for members to break with the Alliance on nuclear issues, particularly if encouraged to do so. Similarly, the current crisis in the Treaty on the Non-Proliferation of Nuclear Weapons (NPT) process presents an opportunity for other countries to step forward and lead on this issue. The success of the Nuclear Ban Treaty speaks to this opening. Canada’s bid for a UN Security Council seat is noted as a chance to exert influence. Focused on the role of NATO in the elimination of nuclear weapons, the second panel sought to elucidate the constraints that it imposes on disarmament and its role in the current nuclear crisis while identifying opportunities for Canada to advance disarmament from within the Alliance. All speakers emphasized the critical need for re-engagement with Russia. The idea that nuclear weapons of unlimited destructive capacity could be the foundation of security is, quite simply, offensive, particularly as the Alliance also continues to claim that it seeks to create the conditions for a world without nuclear weapons. Peggy Mason, President of the Rideau Institute and former Ambassador for Disarmament, presented the recommendations of the all-party, unanimous report submitted by the House of Commons Standing Committee on National Defence in June 2018 regarding Canada and NATO. Recommendation 21 included a welcome call for the government to “…take a leadership role within NATO in beginning the work necessary for achieving the NATO goal of creating the conditions for a world free of nuclear weapons.” Emphasizing the urgency of this issue, the report called attention to several of the points raised by disarmament experts including the renewed risk of nuclear proliferation, potential deployment of tactical nuclear weapons, and changes in nuclear doctrines to lower the threshold of use. The report is a welcome sign of political consensus, and a testament to the influence of civil society, on a specific policy option that could contribute to gradual nuclear disarmament. Ms. Mason further underscored key themes emerging from the day’s discussion, such as global dissatisfaction with stagnant disarmament trends, and the contrast between previous Canadian leadership and contemporary inaction, including boycotting of the Treaty on the Prohibition of Nuclear Weapons (TPNW). Tom Sauer from the University of Antwerp in Belgium addressed the divergence of European civil society perspectives from the actions of NATO member states with regards to the TPNW. On the one hand, opinion polls show that most Europeans are against the presence of nuclear weapons in Europe and favour signing the Treaty. However, the issue is not adequately discussed or debated at a public level. Secrecy and lack of transparency on behalf of NATO make it difficult for both journalists and activists to engage the issue, and this limits the impact of peace movements. Within NATO, it is clear that members are reluctant to lead efforts to change the Alliance’s nuclear posture, or to deviate from one another in other disarmament fora. And yet leadership and change are possible. For example, the Netherlands is the only NATO member to have participated in the TPNW process, which itself was not anticipated just a few years ago. And while the Treaty may not eliminate nuclear weapons quickly, it is essential for stigmatizing their use – particularly in the current crisis – and stimulating new debate within civil society. Discussion re-iterated the need for engagement on nuclear disarmament, diplomatically within NATO and with Russia, as well as by civil society and journalists. The Artic was raised as an example of how a security community can be created around shared interests. Limited participation on the parliamentary panel “Canadian Leadership on Nuclear Disarmament” illustrated the current political climate of disengagement with nuclear disarmament. All major Canadian political parties were invited to present their positions. The NDP’s Agricultural Critic, the Hon. Alistair MacGregor, (substituting for the Party Foreign Policy spokesperson who was travelling) was the only person to participate directly. Noting that his party has long opposed nuclear weapons, he asserted that it was a strong proponent of Recommendation 21 within the Standing Committee’s report. MacGregor further questioned how Canada can be “back” while simultaneously failing to participate in the most important disarmament negotiations in years, and pointed to a shift in stance by the Liberal party from its time in opposition. The Hon. Doug Roche read a statement provided by the current Government of Canada in response to a petition filed on behalf of constituents regarding the TPNW. It emphasized the government’s actions to advance disarmament and its commitment to a pragmatic pursuit of a world without nuclear weapons that takes into account the current security environment. In this environment, the government does not believe that the Treaty will be effective in achieving nuclear disarmament and does not intend to sign the treaty. Instead, its diplomatic efforts are to focus on inclusive measures that unite nuclear and non-nuclear armed states in common goals, specifically the pursuit of a Fissile Materials Cut-off Treaty (FMCT). Discussion reiterated the importance of civil society expertise and advocacy, which Parliamentarians rely on for research and guidance. It was also noted that civil society should urge Parliamentarians to join the Parliamentarians for Nuclear Non-Proliferation and Disarmament Network (PNND). Mr. Cirincione addressed the final session on “Next Steps for Nuclear Abolition,” outlining the approach of the Ploughshares Fund to, first prevent the worst from happening, and then to build the world that we would like to see. This approach involves engaging politicians now to help them develop policies prior to future elections, finding ways to support positive goals set by the current Administration – including peace with North Korea – and supporting the next generation of civil society leadership on non-proliferation and disarmament. Calling ICAN “a flare that goes up in the night,” he cautioned that the current disarmament effort will not be able to rely on a mass anti-nuclear movement for change, but instead must build ties between nuclear disarmament and other mass movements of today. For example, cross-cutting feminist and environmental movements likewise question existing power dynamics and strive for an alternative future. The remainder of the session was used to reflect on the learnings of the day and to share ideas for future work. Returning to Recommendation 21 of the report by the Standing Committee on National Defence regarding NATO and the elimination of nuclear weapons, several speakers emphasized writing to the government prior to the release of its official response, both to express support and to raise questions about how disarmament processes might be raised within various bodies of the Alliance. It was noted that this might be a fruitful avenue for Canadian leadership in the context of its bid for a seat at the UN Security Council. Conversation also explored options for engaging Nuclear Weapons States (NWS) in steps toward disarmament. It was noted that the UN General Assembly (UNGA) Resolution on fissile materials negotiation in 2016 was supported by 159 states, including three yes votes from NWS and two abstentions. In this context, the Government of Canada continues to prioritize efforts to bring NWS around the table and to create space for dialogue on the issue of a FMCT. Others urged the UNGA First Committee meetings and the NPT Review Conference as opportunities for leadership. The importance of continued Canadian support for the JCPOA was emphasized. From a civil society perspective, the re-institution of the annual civil society consultation on arms control and disarmament by Global Affairs Canada is viewed as a positive step. The opportunity for additional civil society engagement with the government through its feminist foreign policy and the newly created position of Ambassador for Women, Peace, and Security was noted with cautious optimism, so that the core value of peace within feminism is emphasized. Work to this effect is currently being done by the Canadian Women, Peace and Security Network. Overall, there is a recognition of a David v. Goliath moment. Disarmament advocates are outgunned (no pun intended) and underfunded. Within civil society, we need to raise funds and raise our voices, build new relationships, and foster creativity in our efforts to advance a world free of nuclear weapons. The need is urgent. Please find enclosed a Statement setting out our recommendations for Canadian action with respect to the upcoming NATO Summit in Brussels. We would very much appreciate receiving your views on these proposals and hearing about your plan for making progress at the Summit. Kindly send your responses to this email and I will ensure their circulation among these (and other concerned) Canadian groups. B.C. Southern Interior Peace Coalition. Mr. Tariq Rauf, Head – Verification and Security Policy Coordination, Office reporting to the Director General, International Atomic Energy Agency, 2002-2011; Alternate Head of IAEA NPT Delegation. Chairperson: Dr. Nancy Covington, Physicians for Global Survival and VOW. Mr. Bernhard Faustenhammer, Deputy Head of Mission, Embassy of Austria. Mr. Cesar Jaramillo, Executive Director, Project Ploughshares. Greetings from the Canadian Network to Abolish Nuclear Weapons (CNANW). We are a coalition of civil society organizations from across the country working to advance the cause of nuclear disarmament and move toward a world without nuclear weapons―a goal the Government of Canada has publicly and consistently supported. We welcome you to the critical portfolio you now lead and assure you of our willingness to collaborate constructively toward a foreign policy that, driven by principle and guided by evidence, best meets the interests of Canadians and the international community. Seven decades after the destruction of Hiroshima and Nagasaki, 45 years after the entry into force of the Nuclear Non-Proliferation Treaty, and over a quarter century after the end of the Cold War, nearly 16,000 nuclear weapons continue to threaten the very survival of humanity and our ecosystem. The only foolproof way to ensure that nuclear weapons are not used by accident, miscalculation or design is through their complete and verified elimination. On 30 November 2015 CNANW hosted an experts’ seminar entitled “Defining Steps for Canada in a Nuclear Weapons-Free World” focused on political and diplomatic opportunities for Canada to engage constructively and exhibit determined global leadership in the pursuit of a world free of nuclear weapons. The discussions addressed a broad range of legal, political, security, and verification questions―all founded on the recognition that Canada is uniquely positioned to effect a positive and substantive impact on the push for nuclear abolition. Our network is calling for a fundamental shift in the security doctrines of some members of the international community—away from security arrangements that rely on nuclear deterrence, and in line with fundamental precepts of sustainable common security. The value of deterrence is far outweighed by the risk posed by any use of nuclear weapons and the catastrophic humanitarian consequences this would entail. 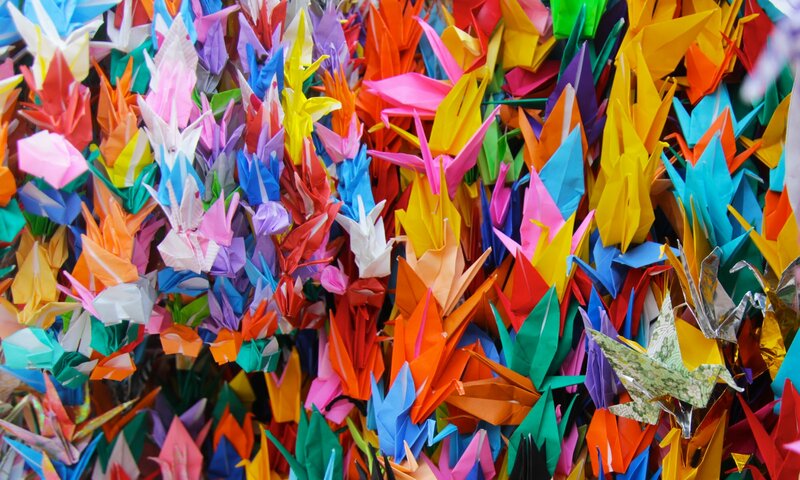 The humanitarian imperative for nuclear disarmament should be the catalyst to launch a comprehensive process leading to the enactment of a legal framework for the prohibition and elimination of nuclear weapons. We welcome the support from the Liberal Party of Canada for the 2010 unanimous Parliamentary motion calling for a major Canadian diplomatic initiative in support of nuclear disarmament, and recall the pertinent questions you have personally raised in the House of Commons on this issue. We also note with gratitude the work being done by the Government of Canada on transparency and verification practices through its engagement in the International Partnership for Nuclear Disarmament Verification. 1. Endorse the Humanitarian Pledge championed by the Government of Austria as a means of focusing international attention on the catastrophic humanitarian effects anticipated from any use of nuclear weapons, and energizing the global push for nuclear abolition. 3. Build political and diplomatic support for resolutions at the 2016 UN General Assembly calling for: a) the creation of a further Open-Ended Working Group with an actual mandate to negotiate a legal instrument to prohibit and eliminate nuclear weapons, and b) the establishment of a subsidiary body to negotiate a ban on fissile materials for use in nuclear weapons. 4. Speak out against the modernization of nuclear weapons by existing Nuclear Weapons States. 5. Advocate within the NATO Alliance Council for the formulations of security policies that embrace sustainable, common security principles and do not rely on nuclear deterrence. As a key measure, Canada should urge for adherence to policy of no foreign basing of nuclear weapons. 6. Reinstate the past practice of hosting a Government-Civil Society Consultation on Arms Control and Nuclear Disarmament to enable a constructive, two-way open dialogue of pertinent issues. To this end we hereby request a meeting between you, Minister Dion, and a small delegation of CNANW representatives. Above all, we call on the Government of Canada to work urgently with other nations to conclude a Nuclear Weapons Convention which will set out a binding timetable for the abolition of all nuclear weapons in the world. We firmly believe it is in the best interest of every nation to move decisively toward the shared goal of nuclear abolition, and are convinced that Canada can and should play a leading role to this effect. Thank you for your attention and actions in regard to these issues. We would welcome the opportunity to discuss them further with you at your earliest convenience. Advisers: The Hon. Douglas Roche O.C., Chairperson Emeritus, Middle Powers Initiative; Ms. Peggy Mason, and Mr. Paul Meyer, all three, former Ambassadors for Disarmament, and Mr. Ernie Regehr, O.C. Member groups: Les Artistes pour la paix, Canadian Coalition for Nuclear Responsibility, Canadian Federation of University Women, Canadian Peace Alliance / L’Alliance canadienne pour la paix, Canadian Voice of Women for Peace, Canadian Pugwash Group, Canadian Centre de Ressources sur la Non-Violence, The Group of 78, Physicians for Global Survival, Science for Peace, United Nations Association – Canada, World Conference on Religion and Peace (WCRP international link), World Federalist Movement – Canada.